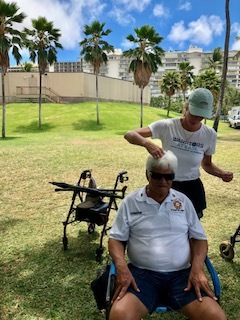 See dates below to find out when we will be in Oahu, Hawaii hosting private and community Acupuncture treatments, specifically incorporating the Neurological-Acupuncture style. We are teaming up with Bella Kai Yoga, Warriors At Ease & Kailua Integrative Medicine to offer this unique treatment. We will be back in Kailua, Oahu Hawaii roughly every 6-8 weeks for Acupuncture (specifically the Neuro-Acupuncture specialty style) appointments teaming up with Bella Kai Yoga Studio, Warriors At Ease and Kailua Integrative Medicine. If you or anyone you know in the area are interested in making an appointment please contact us so we can get it on the schedule. We will be offering $30 Community Acupuncture treatments for certain blocks of time at Bella Kai Yoga studio, and then more in depth, regular treatments will be available at Kailua Integrative Medicine clinic. We are not preferred providers with local Hawaiian insurance companies, but if you would like us to check into your out of network benefits please text a photo of the front and back of your insurance card to 509.885.8329 or 509.393.1166 with your date of birth. We are also happy to send you with a super bill to submit to your insurance company for potential reimbursement. For Veterans: If you are part of the Triwest program please call them at 1.866.606.8198 or at the number listed on your VA card to schedule the initial visit. They will need your date of birth, last four digits of your social security number, and ask them to schedule you with Karli Poage or Nanci Poage from Core Essence Acupuncture at the Hawaii location of 46 Hoolai St, 2nd Floor, Kailua, HI 96734. Follow up visits will be scheduled with us directly, they just have to arrange the first one and most likely will want a referral from your VA doctor. Let us know if you need any assistance with this process. CALL TODAY TO SCHEDULE OR WITH ANY QUESTIONS! WE LOOK FORWARD TO SEEING YOU AGAIN!